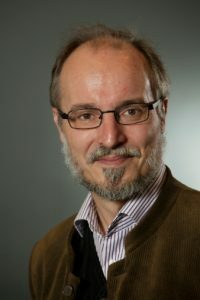 Holger Weiss (PhD 1997, University of Helsinki) is Professor of general history at Åbo Akademi University, Finland, and Guest Professor of history at Dalarna University, Sweden (since 2015). His research focuses on Global history (Entanglements and spaces in the early modern Atlantic world with a special focus on the Danish possessions on the Gold Coast and the Swedish colony of Saint Barthélemy in the Caribbean), West African environmental history (with a special focus on Ghana), and Islamic Studies (with a special focus on Islam in Ghana). (ed. ), International Communism and Transnational Solidarity: Radical Networks, Mass Movements and Global Politics, 1919–1939 (Brill 2017).